Reservation will be held upto a maximum of one hour from the arrival of the flight at the Hyderabad Airport. If you wish to check in late, kindly inform us. In case of amendment, same thing can be done through “Modify” option in the Reservation System OR else inform the hotel at least 6 hours in advance. The hotel’s check in, check out time is 24 00 hours. While every effort will be made, you will appreciate that late check out is subject to availability. 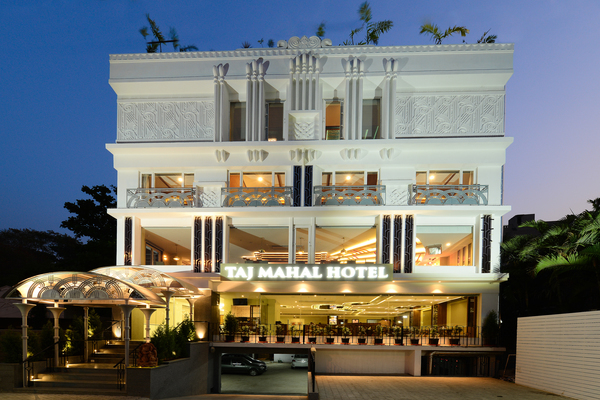 The room tariff mentioned above is applicable per room per night. Taxes, service charges and other levies are additional wherever applicable. The room tariff is not inclusive of airport transfer. However should you require any facilitation for the same., you have the option of opting the Pick-up/Drop option during Room Reservation process OR feel free to contact us. Guaranteed Room Reservations not cancelled 48 hours prior to arrival would attract a retention charge equivalent to one night’s room tariff. In the event of a cancellation prior to 48 hrs, please do retain the cancellation number, to ensure that no retention charge is levied. Guests are requested to settle their bills directly at the time of check out. We are not in a position to accept personal cheques and a signing facility is extended only to those corporate accounts which have a Credit facility with our hotel. According to government regulations, a valid Photo ID has to be carried by every person who are staying at the hotel. The identification proofs accepted are Drivers License, Voters Card, Passport, and Ration Card. Without valid ID the guest will not be allowed to check in. Note- PAN Cards will not be accepted as a valid ID card. The room tariff is exclusive of all taxes. The amount paid for the room does not include charges for optional services and facilities (such as room service, mini bar, telephone calls, travel, Wi-Fi etc). These will be charged at the time of check-out. The hotel reserves the right of admission. Accommodation can be denied to guests posing as a couple if suitable proof of identification is not presented at check-in.